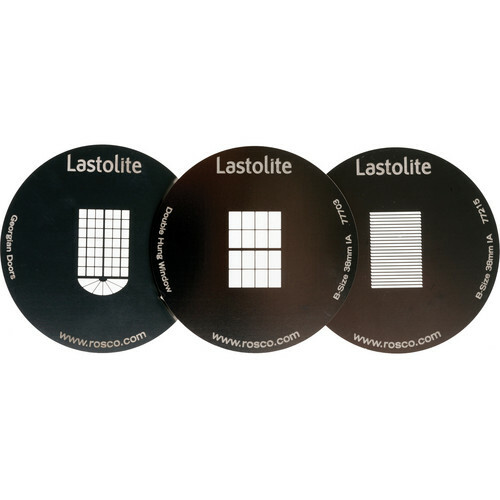 The Lastolite Strobo Gobo Set of 3 Architectural Gobos allows you to project patterns onto backgrounds or walls using the Strobo Gobo accessory. Three metal gobos with outer diameters of 86 mm are included - Georgian Doors, Double Hung Window and Louver. Box Dimensions (LxWxH) 5.5 x 3.9 x 0.2"